Better Homes and Gardens Real Estate released a list of homebuying and selling tips using only emojis. Emojis can be an effective way to reach millennials, who frequently use the fun little images to communicate. In March, Better Homes and Gardens Real Estate reached out to long-form emoji master Zoe Mendelson to create a listing for the White House using only emojis. The result was a surprisingly spot-on description of all the amenities that the First Family and their guests get to enjoy on a daily basis — who knew the White House has a whopping 28 fireplaces and 35 bathrooms? 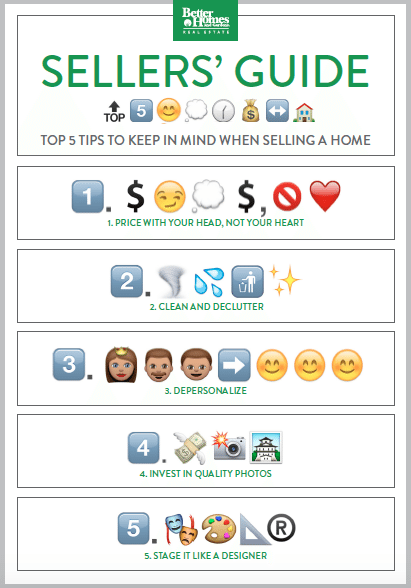 BHGRE called on Mendelson again to create an emoji-only list of top five tips for buyers and sellers during the robust spring homebuying season. The company says agents can use the list to connect with their millennial clients, who frequently use emojis to communicate. 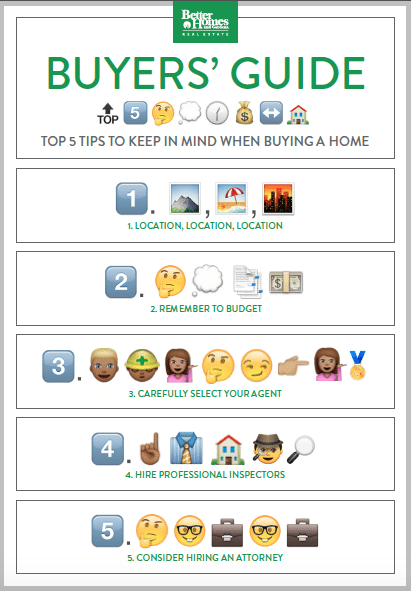 @BHGRealEstate: Emojis are an effective way to communicate with millennial homebuyers and sellers this Spring.